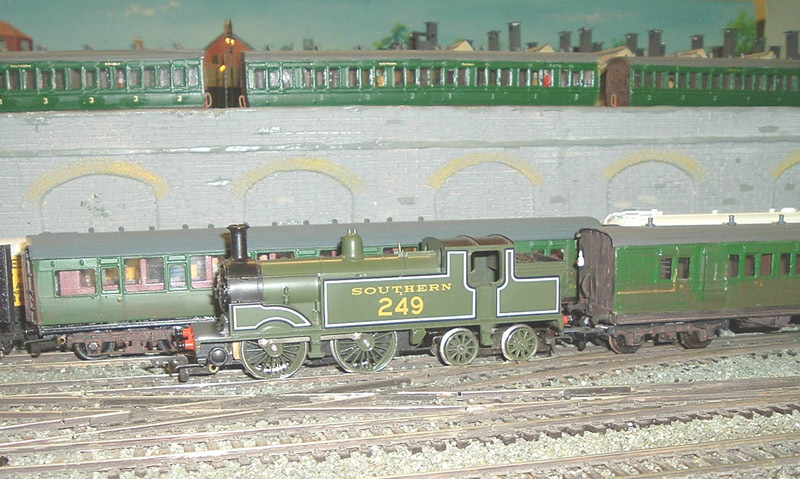 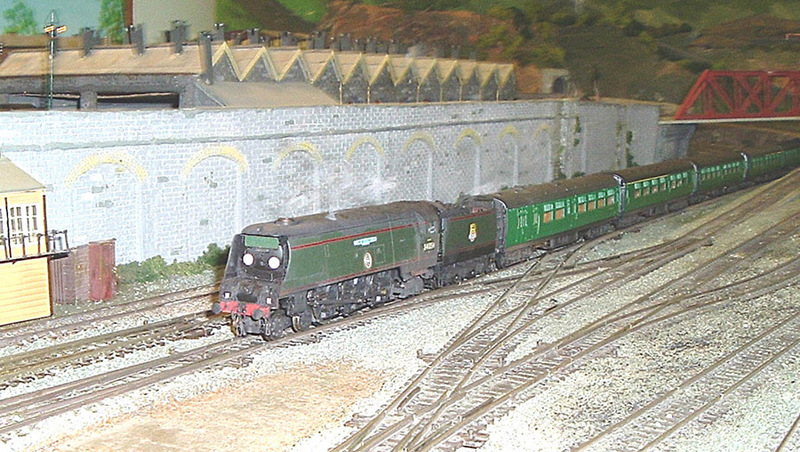 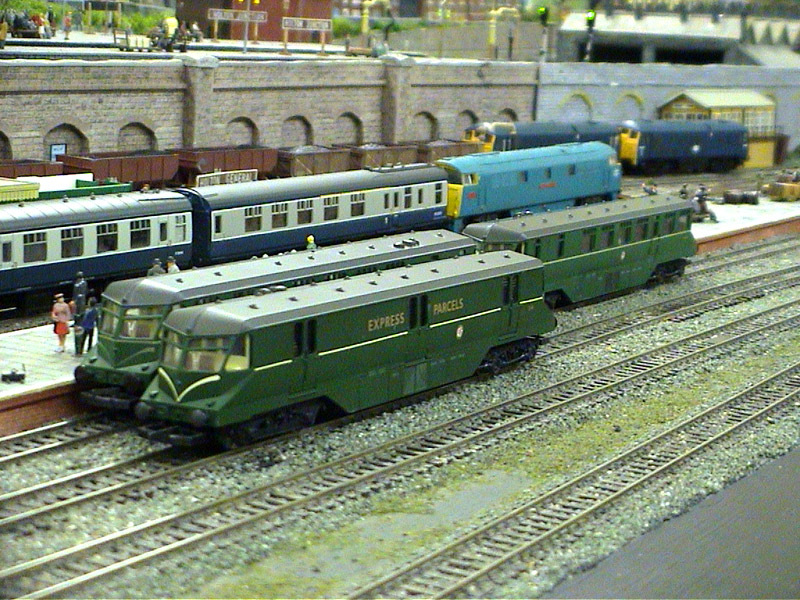 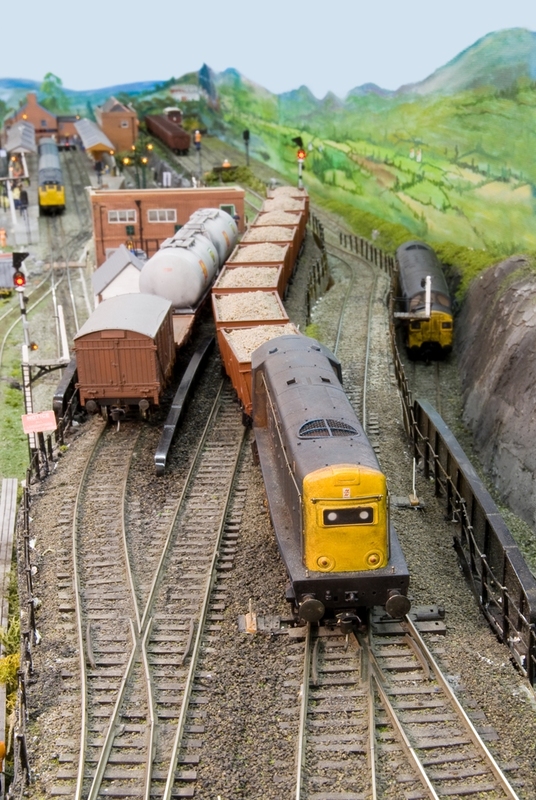 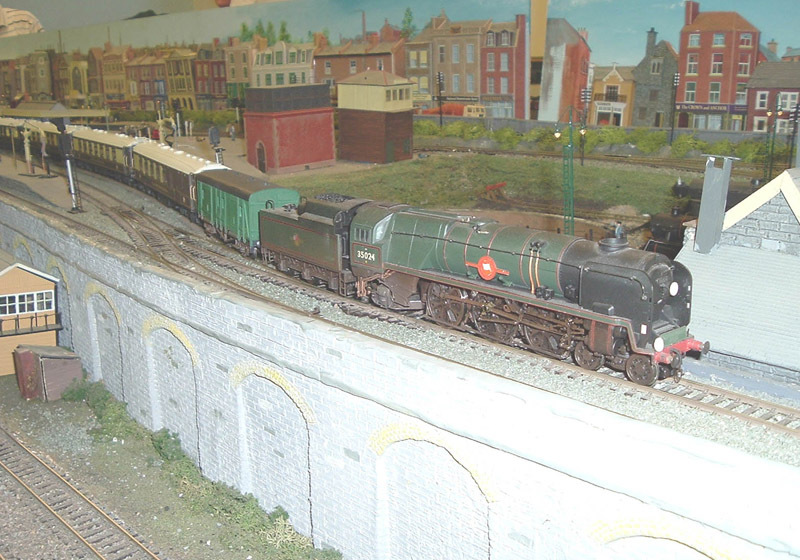 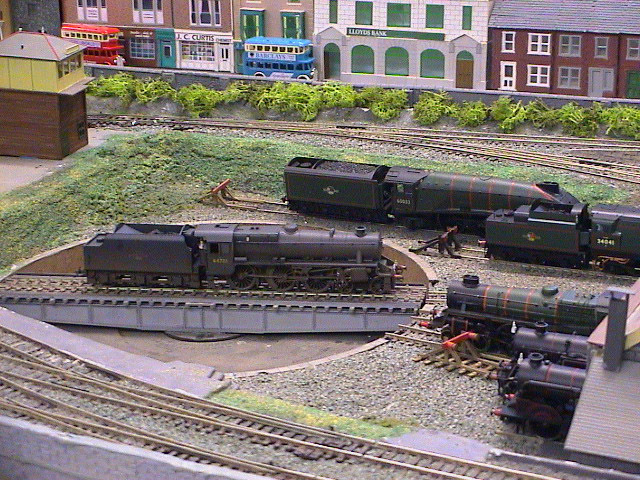 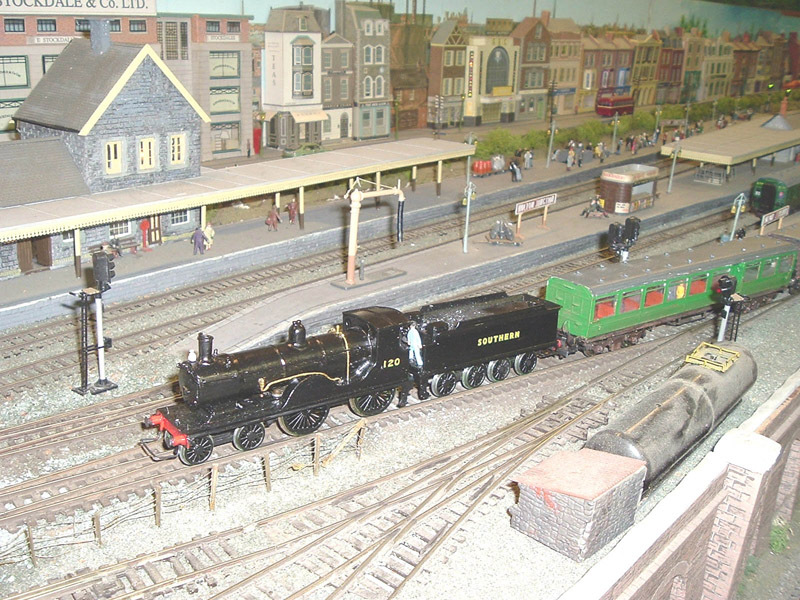 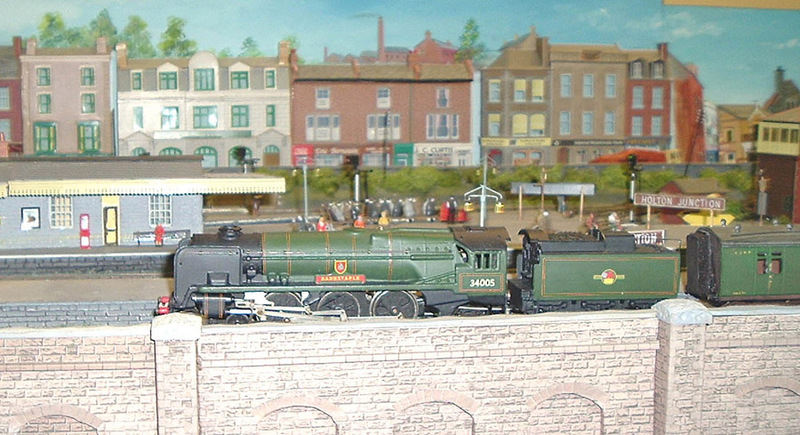 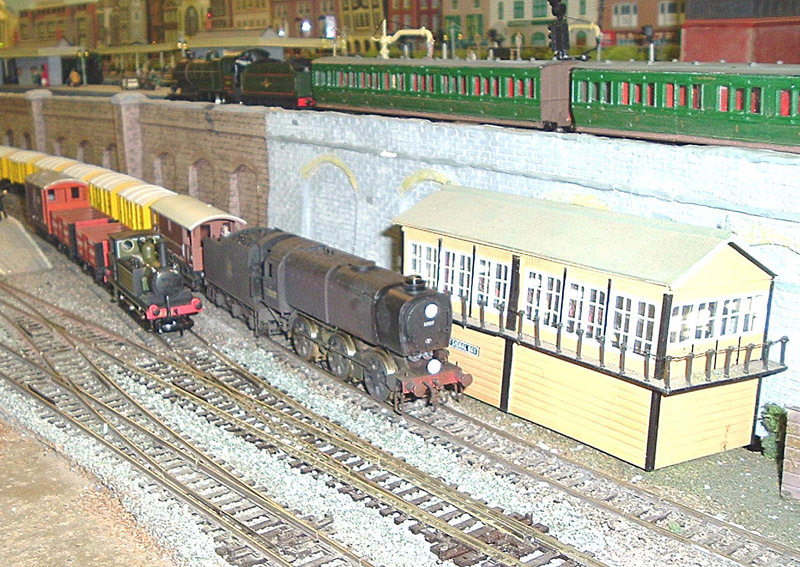 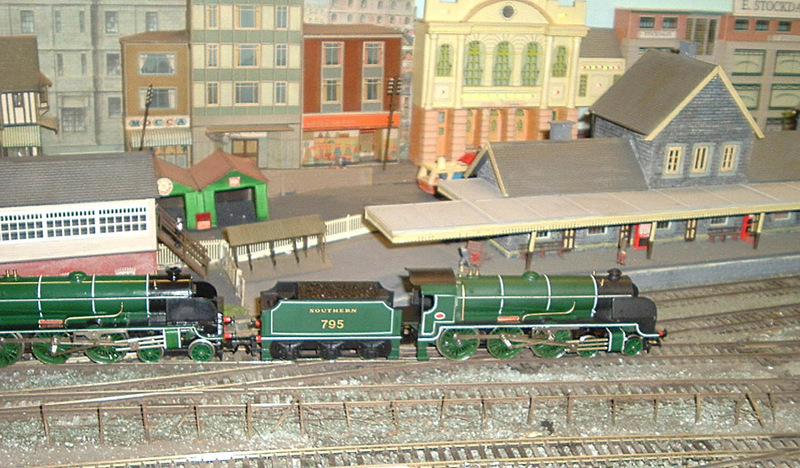 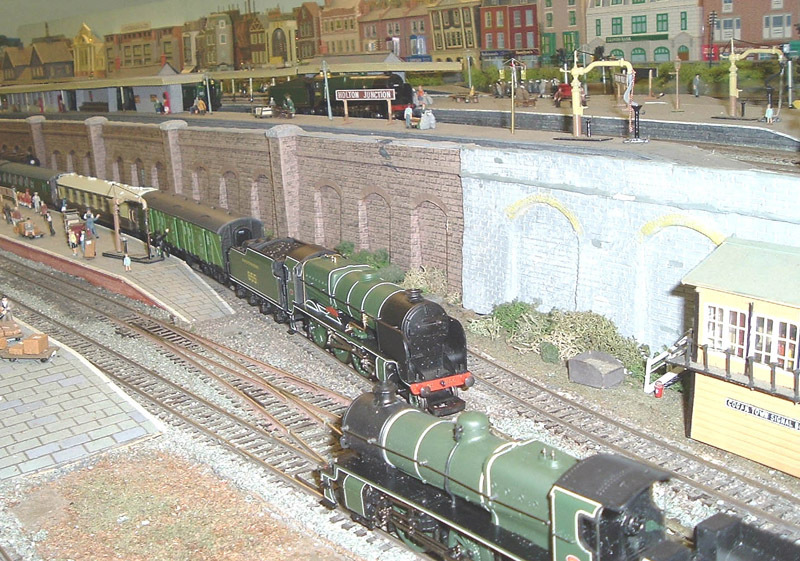 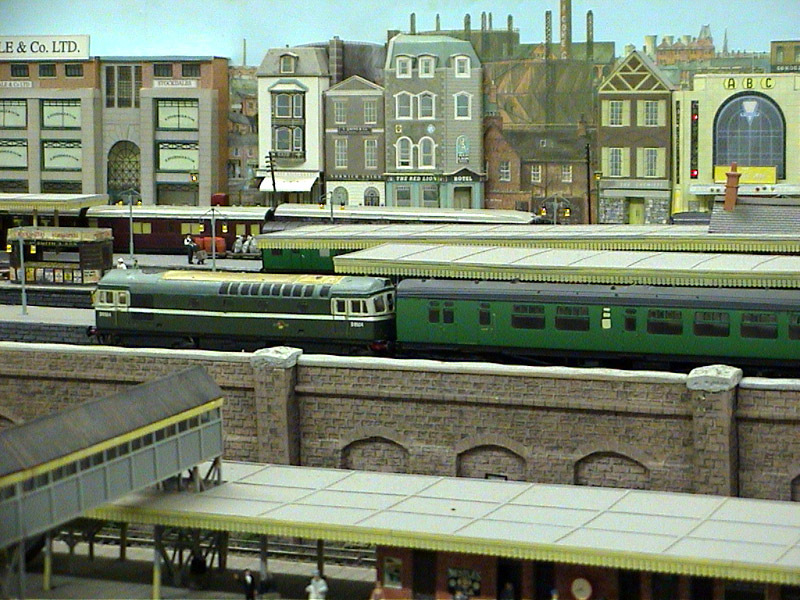 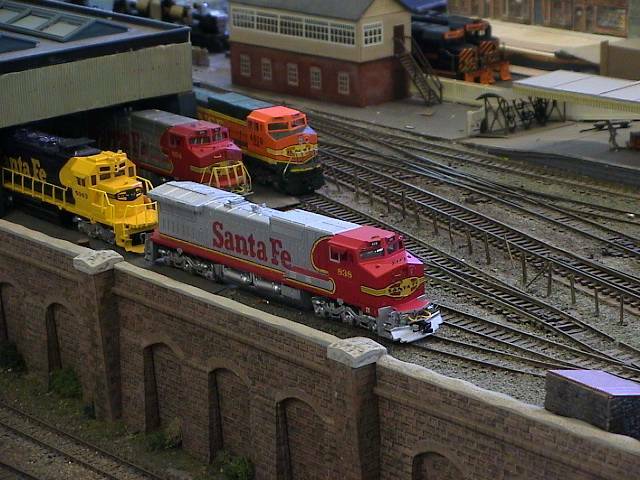 The club’s main layout in the most popular British scale is an extensive multi-track tail chaser, built permanently into the largest of the club’s rooms. 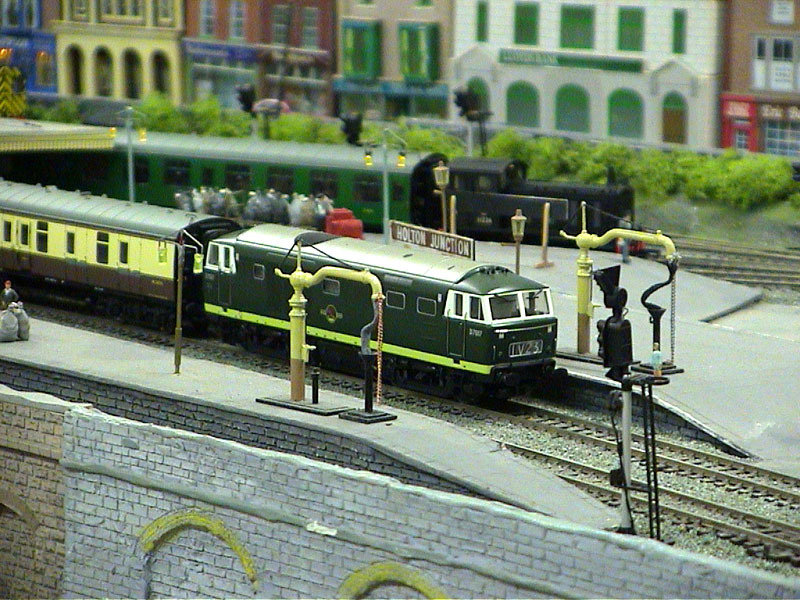 Holton Junction itself is set on two levels, with three platform faces on each level serving two double track main line circuits. 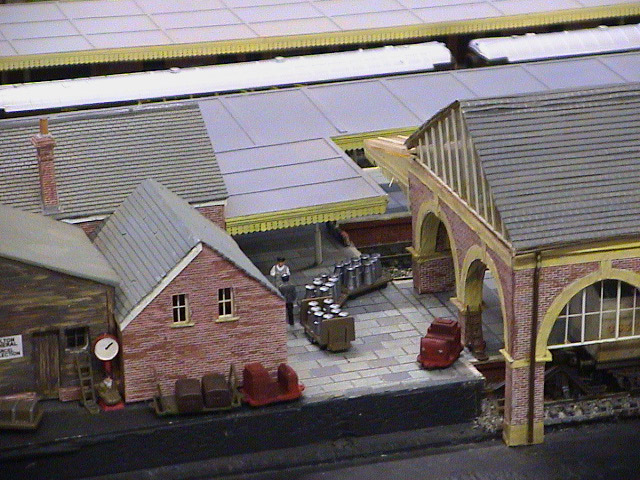 The lower level has separate goods only circuit, plus a bay platform and small goods yard area. 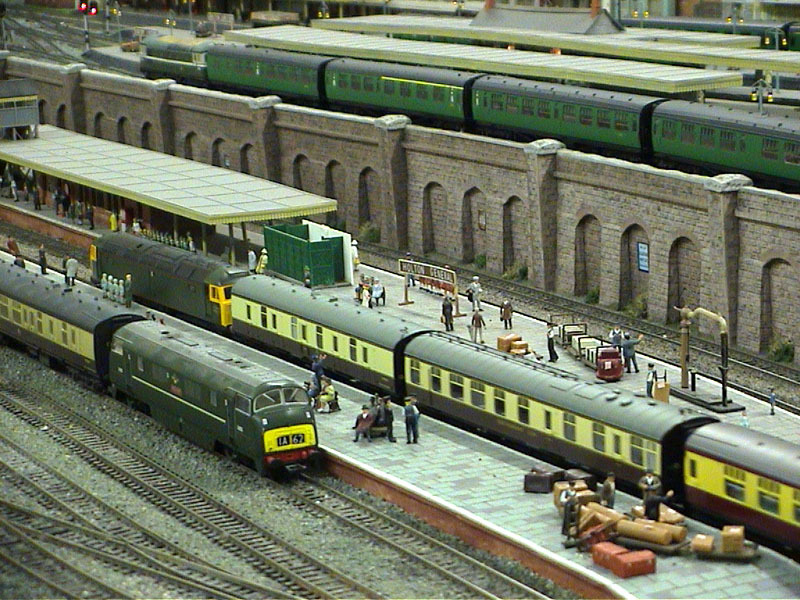 The higher level station also includes extensive facilities for the branch, including two bay platforms. 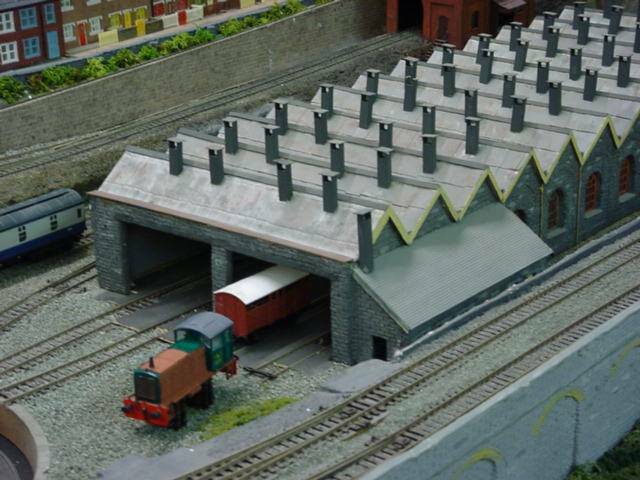 The branch-line itself rises behind the extensive loco shed and coaling plant and curves back round the room, above the main fiddle yards, to the branch station at the top of the third level. A further branch station in the opposite corner of the room is approachable either by reversing back down the branch or directly from the main line stations at both levels. 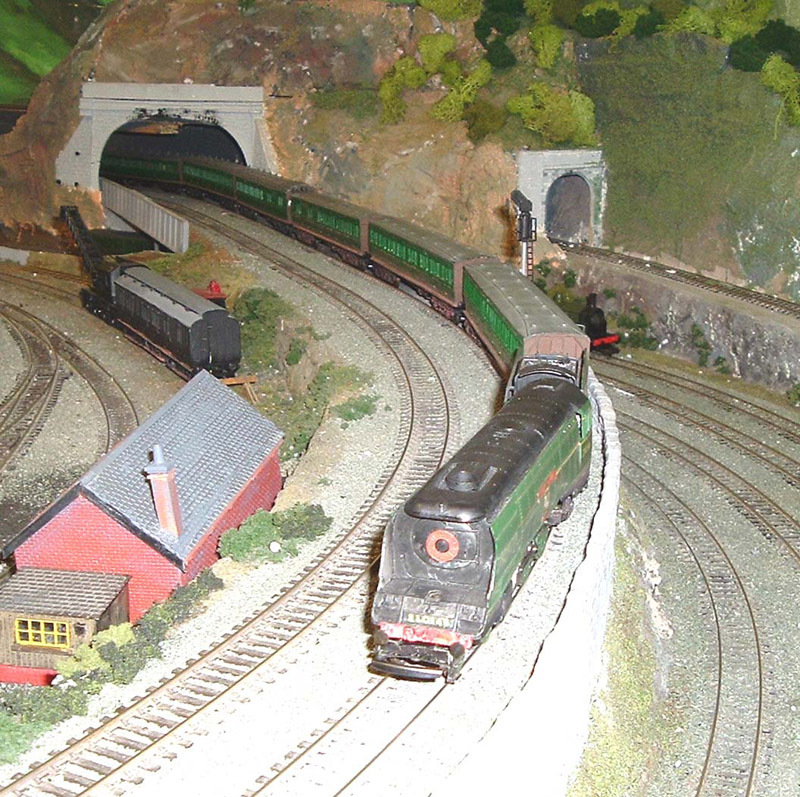 Hence trains can reverse directions via the branches. 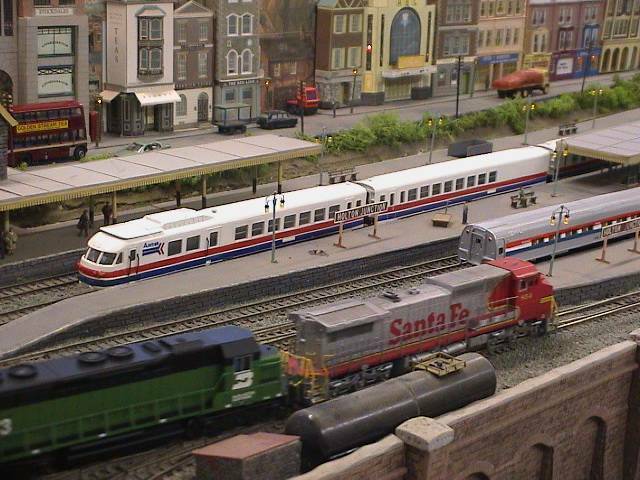 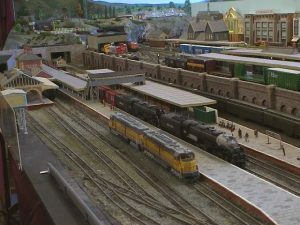 At least four operators are required to bring the layout fully to life on running nights. 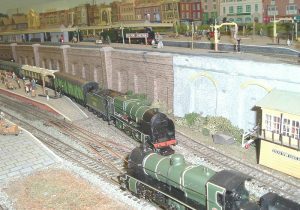 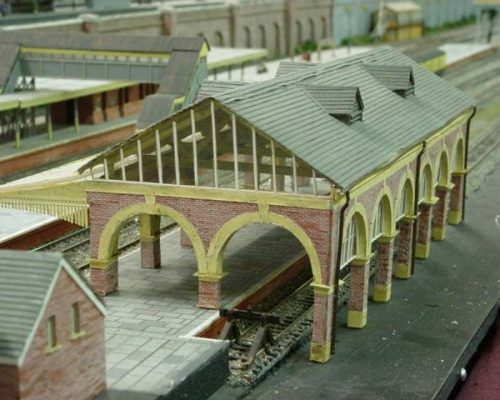 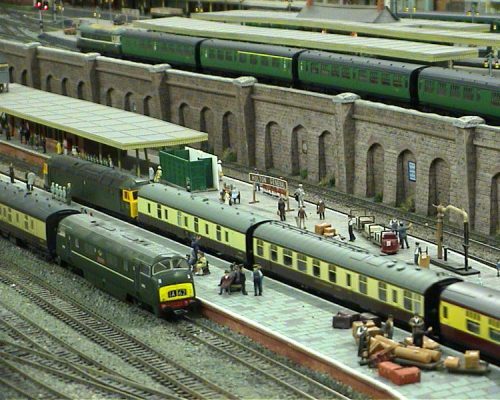 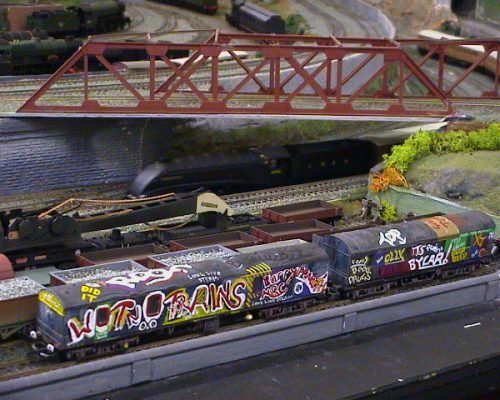 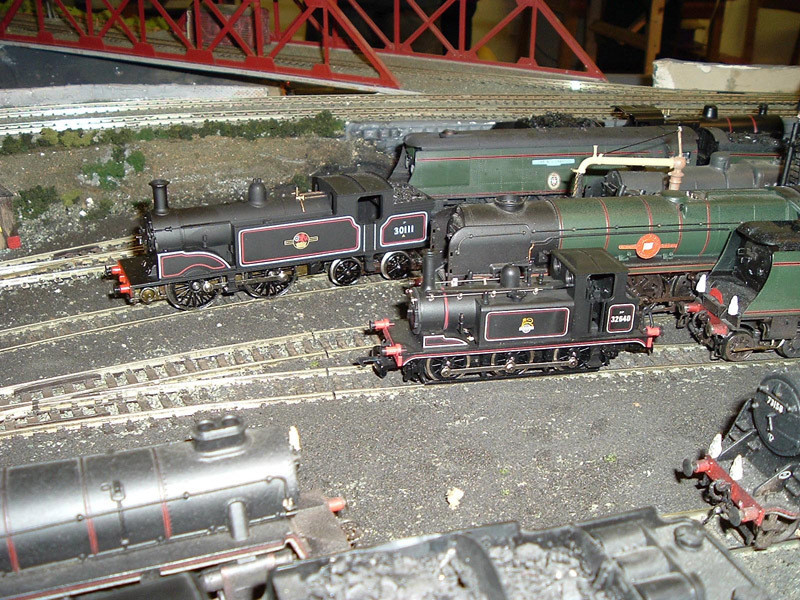 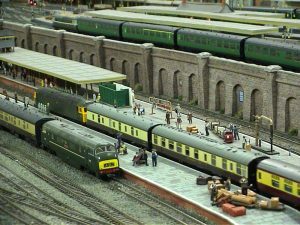 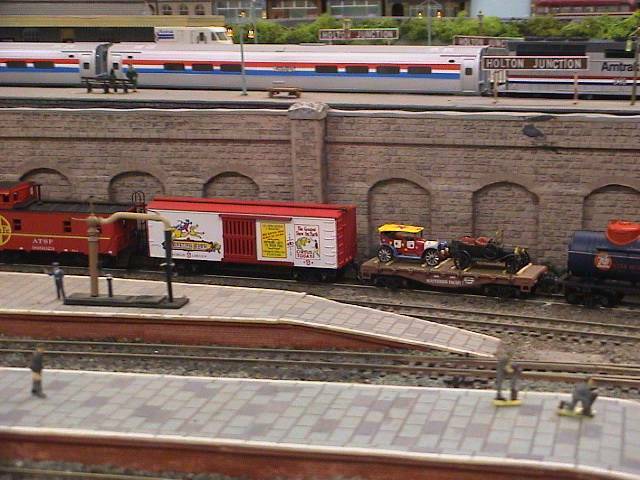 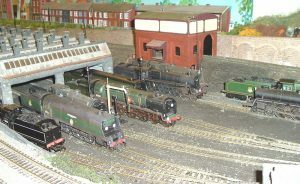 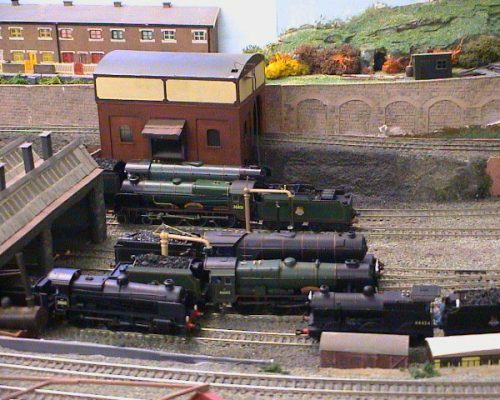 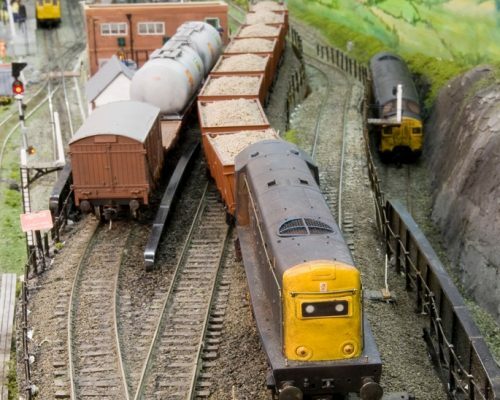 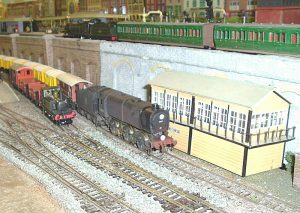 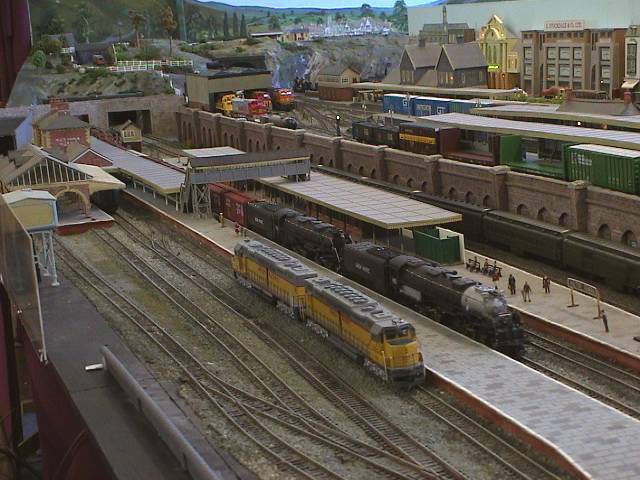 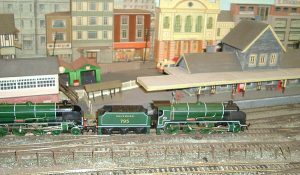 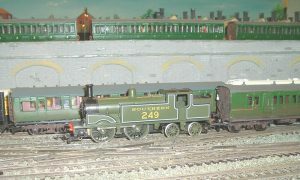 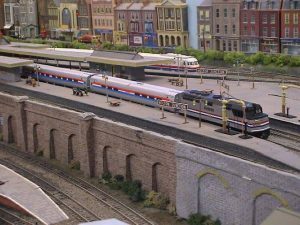 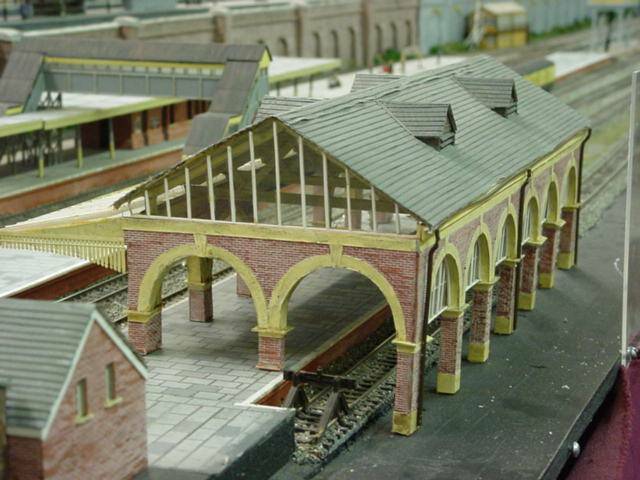 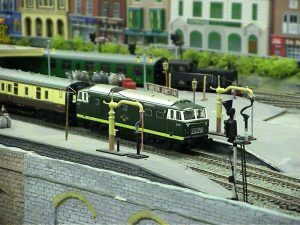 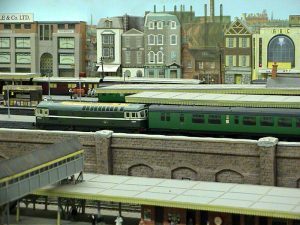 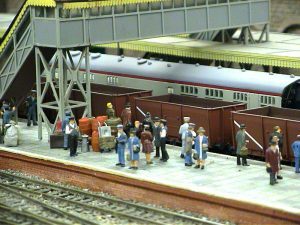 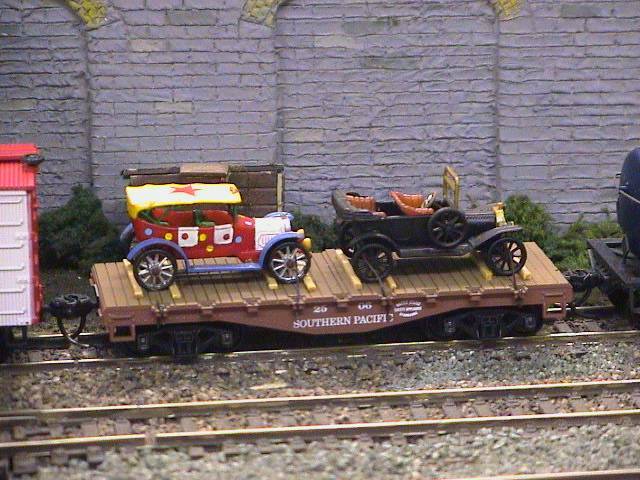 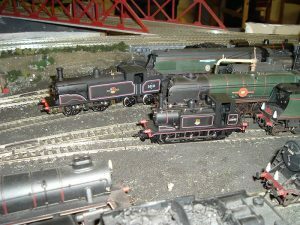 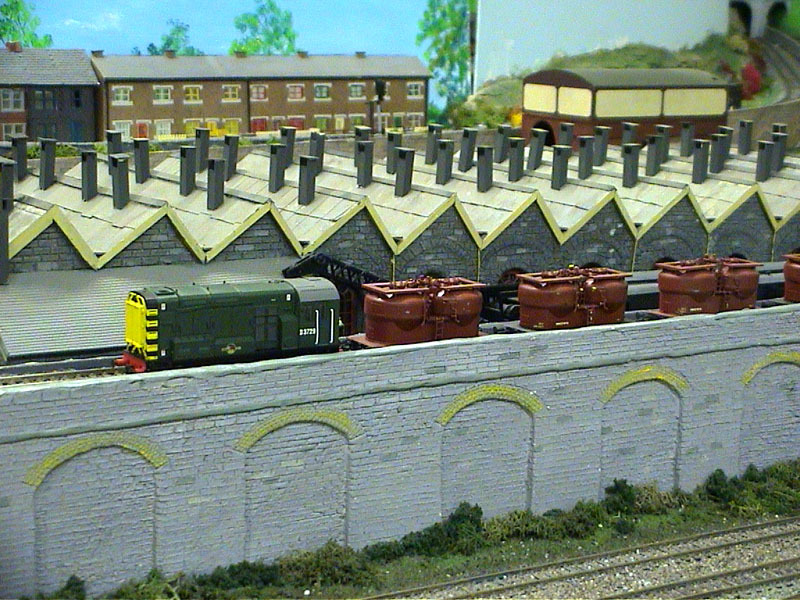 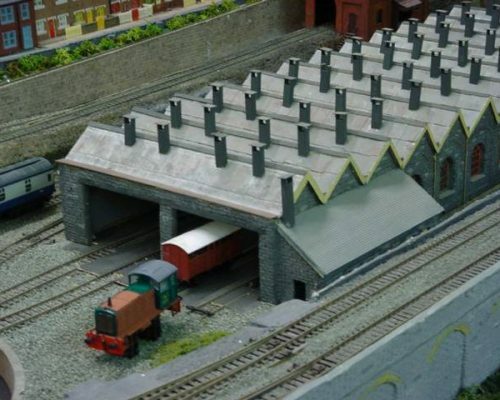 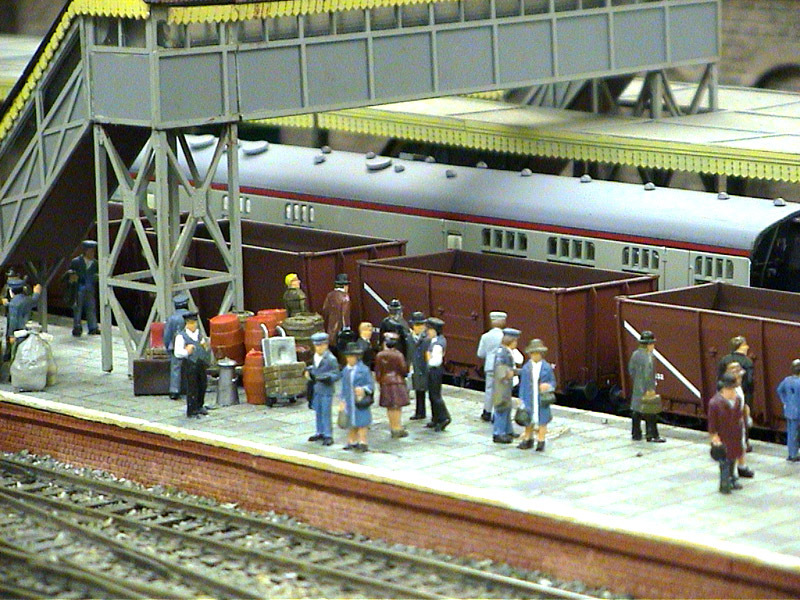 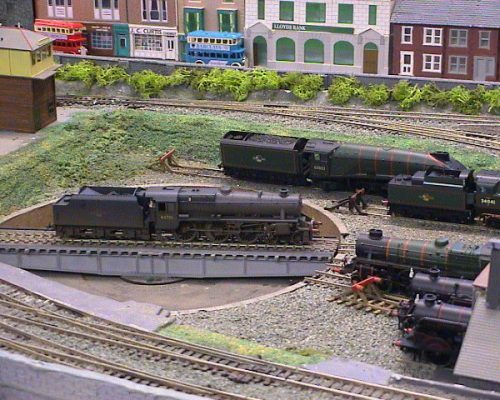 At a recent open day, the layout was run “modern image”, but the loco shed and its environment was modelled as a “preservation site”. 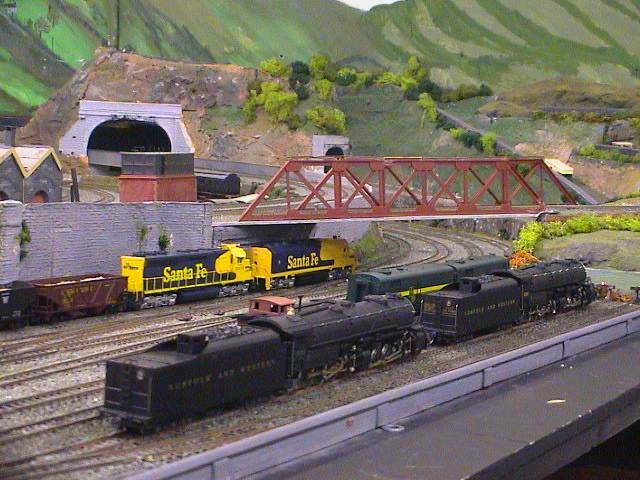 This gave the steam fanatics a chance to display their prize models. 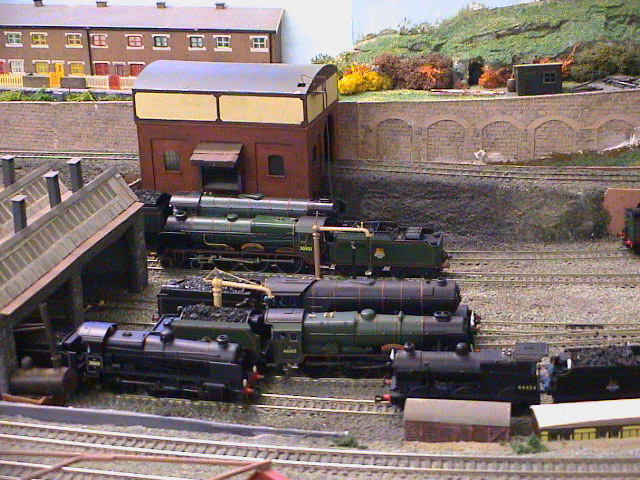 It may be possible to run the entire branch system as a preservation railway at some future shows.